Arrrgggg! 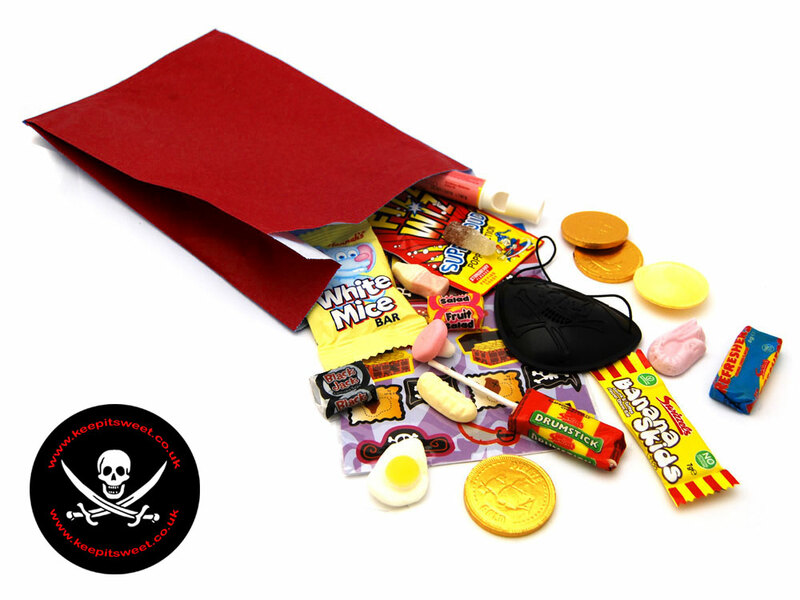 Add some treasure to your parties and celebrations by having our new Pirate Themed Party Bags as a treat for your guests. 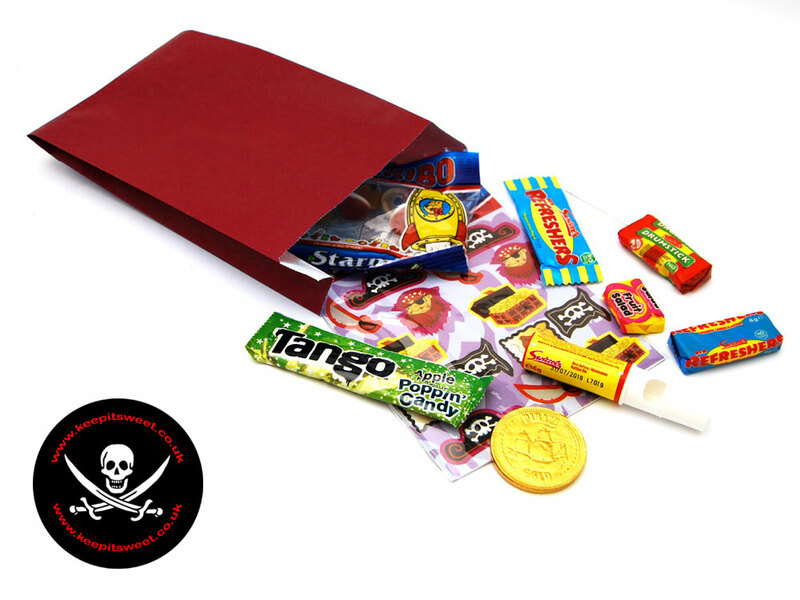 Filled with classic sweet favourites including chocolate Pirate coins! This bag of treats will put a big smile on all your guests faces. You can even role play as a pirate, with a eye patch in our larger bags! Pirate Coins: Sugar, Whole Milk Powder, Cocoa Butter, Cocoa Mass, Emulsifier: Sunflower Lecithin, Natural Vanilla Flavouring. Cocoa Solids 28% minimum, Milk Solids 15% Minimum. Allergy Advice: for allergens see ingredients in bold. May also contain soya and nuts. White Mice Bar: Sugar, Palm Oil, Whey Powder (from Cows' Milk), Wheat Flour (with added Calcium, Iron, Niacin, Thamin), Emulsifier (Soya Lecithin), Natural Flavourings. Allergen Advice: Highlighted Bold in Ingredients list. May contain traces of Milk, Soya and Gluten.